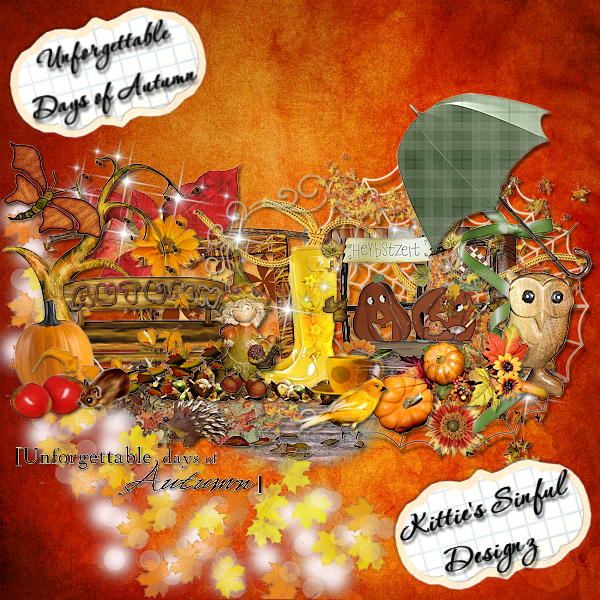 Kittie's Sinful Designz: New Kit: "Unforgettable Days of Autumn"
This kit is a beautiful kit with hues of orange, yellows, browns, maroons, and olive green. Its packed with 115 elements and 14 papers 300 dpi. Included in the 115 elements are 1 wordart and 2 small poems of autumn. Papers are 3600x3600 (full) 800x800 (tagger) saved in JPEG format. All papers and elements are not shown in preview. This is a PTU, PU, S4H, S4O please do not share!! !